My story of this crazy thing we call life. 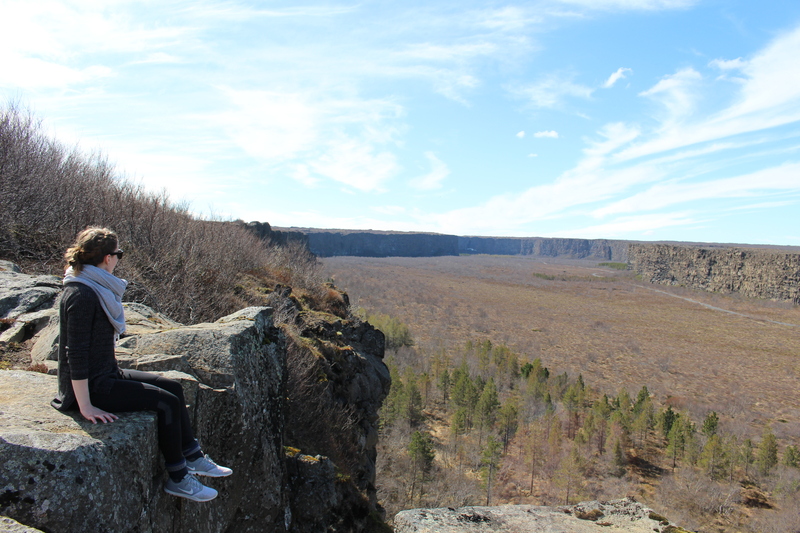 Ásbyrgi canyon was easily one of my favorite spots along our Ring Road trip. 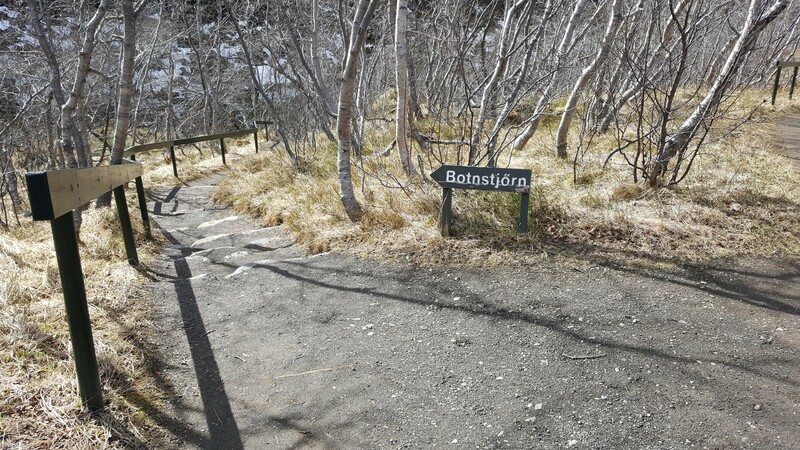 Not technically on Route 1, Ásbyrgi is considered to be part of the Diamond Circle but still listed on many suggested itineraries for the Ring Road and for good reason. 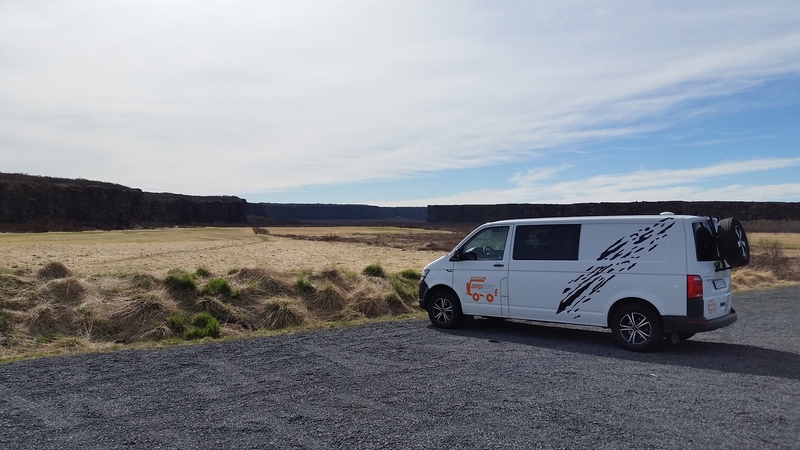 Ásbyrgi is a canyon in northern Iceland that was formed by glaciers many many years ago. But, the really interesting part about it is that there’s a legend attached to the canyon. 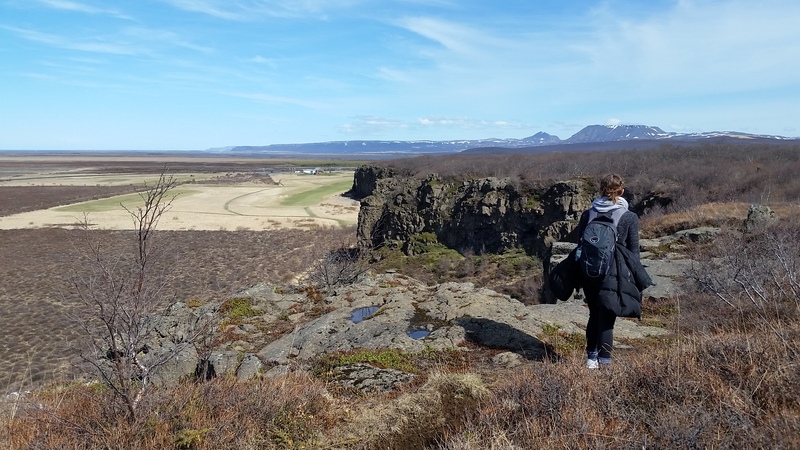 With its horseshoe curvature, it is said that Odin’s horse, Slepnir, created the canyon when one of his hooves touched down on earth. 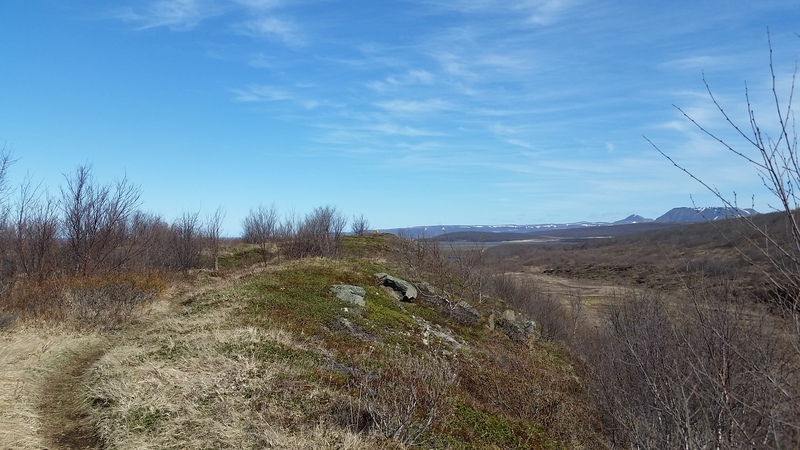 So, if you choose to hike the area, you will literally be walking where Odin’s horse once walked. 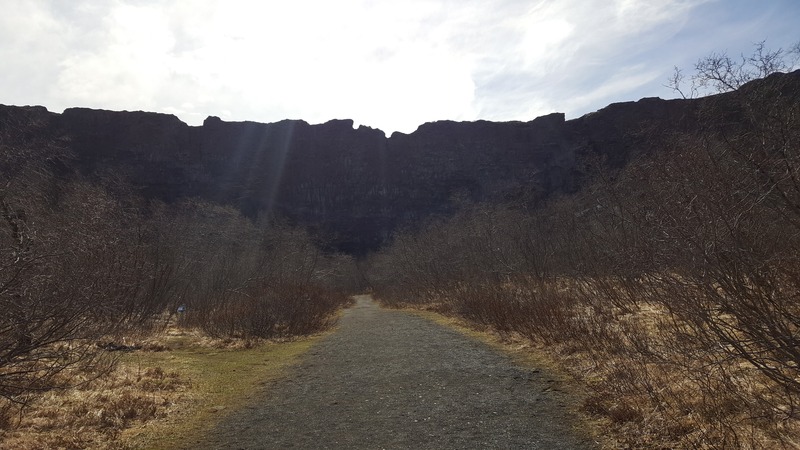 Legend aside, Ásbyrgi was one of my favorite sites because of its beauty. The canyon is green throughout its center and there is lots of hiking in the area. 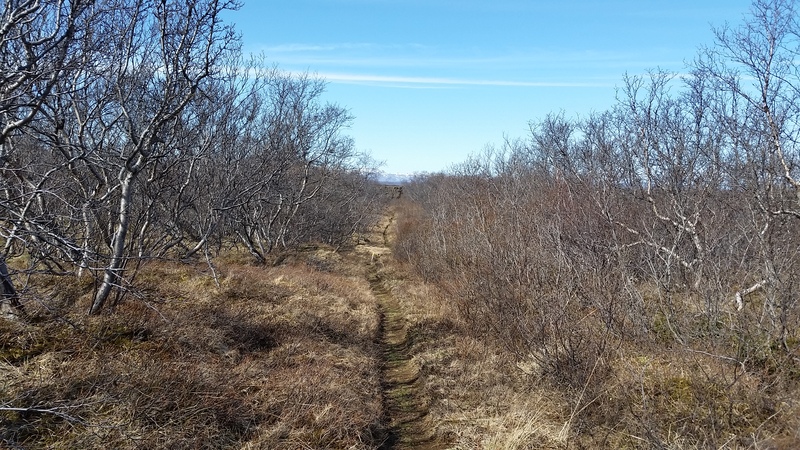 You have several options for hiking to the top, and I would recommend making a stop at the visitor center to get a map and talk to one of the guides to decide which path you’ll take. The visitor center is located just off 85 to the right and at the mouth of the canyon. There is a parking lot, information, souvenirs, and free bathrooms. With map in hand, head towards the top of the canyon. For my husband and I, it took us only about 40 minutes to get to the top, and this was with making the occasional stop for pictures. Once you do reach the top, I would highly recommend spending some time up there. 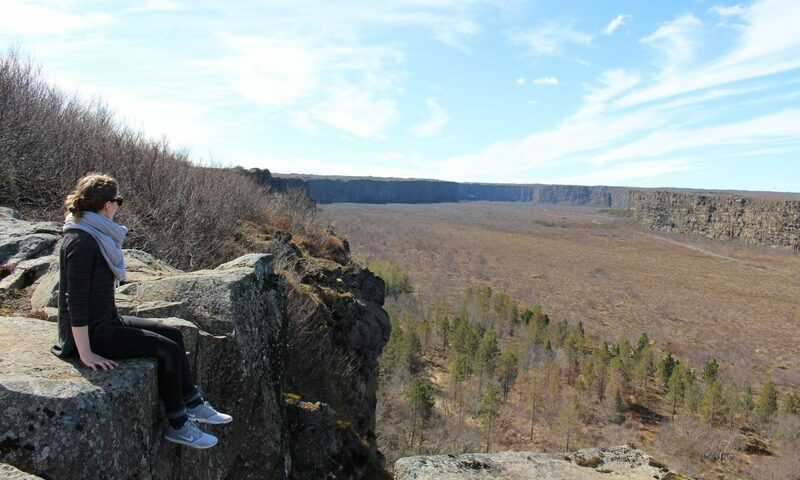 The view is gorgeous, and there are tons of flat rocks along the canyon wall to sit on and enjoy it all. We took the opportunity to have a post-hike snack and rest our legs. When you’re all done taking in the gorgeous scenery, you have a couple option for coming down. You can follow the same path back towards the visitor center, you could choose a different path, or you could use the rock climbing wall to get down. We of course had to choose the third option. This was a bit hidden, and we just happened to stumble upon it. 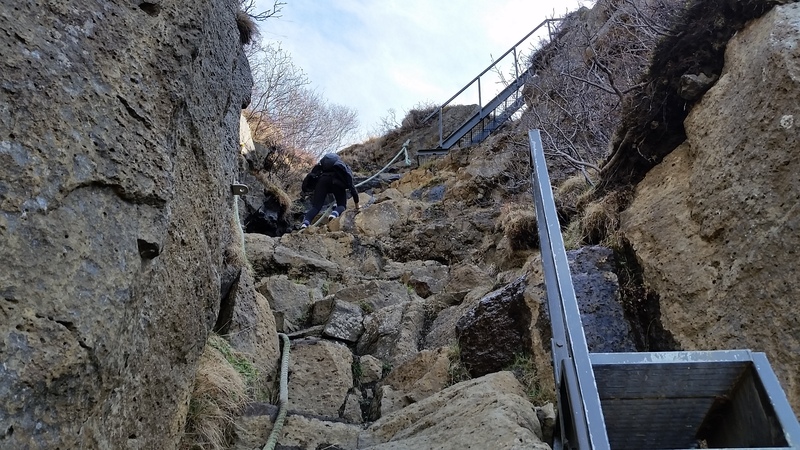 Keep your eyes peeled for the first set of stairs leading down the edge if you’re interested in taking this route. It takes some courage to get down the first half with nothing but a rope, but it’s way more exciting and you get stairs for the second half. 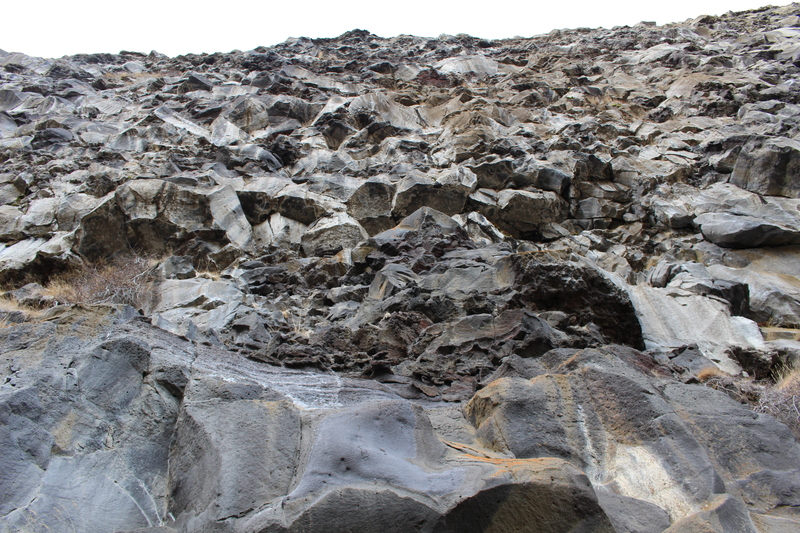 This route will place you on the inside of the canyon about halfway deep. We really enjoyed this walk back through the green field. 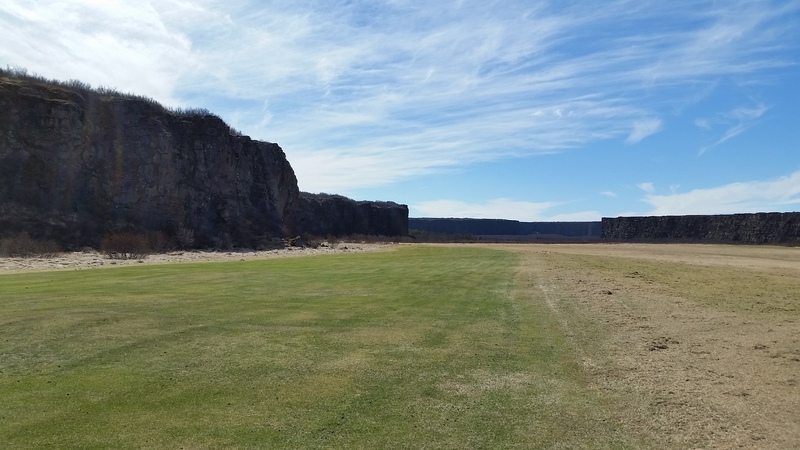 We found that there was a plane runway at the mouth of the canyon and got back to the visitor center in about 15 minutes. 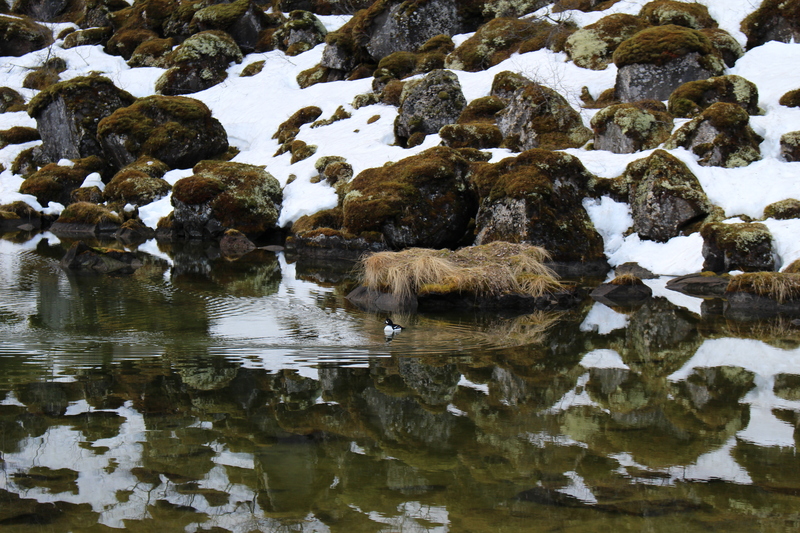 Once you’ve finished up your hike through the canyon, there is another hidden gem within Ásbyrgi, the Botnstjörn Pond. 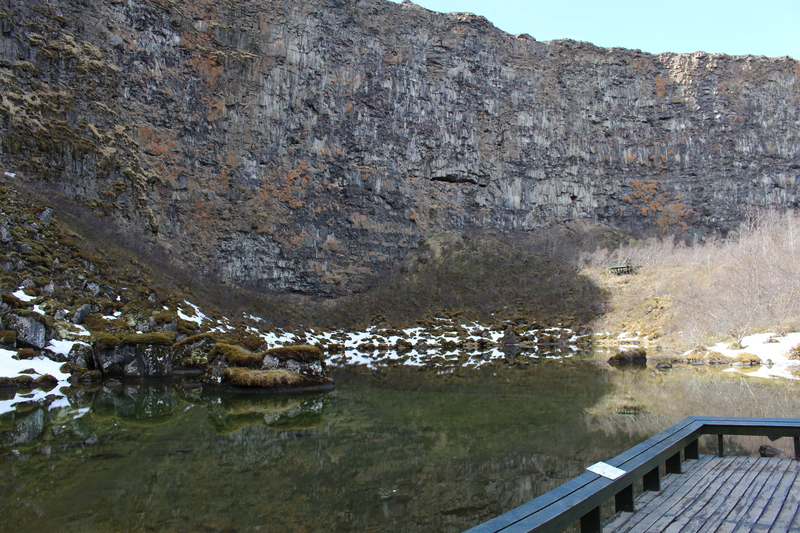 This pond is located on the very interior of the canyon and is so incredibly beautiful. You can walk the road from the visitor center to it, but doing that, spending time at the pond, and walking back would take quite a bit of time, so keep that in mind when deciding. We chose to drive down to it. 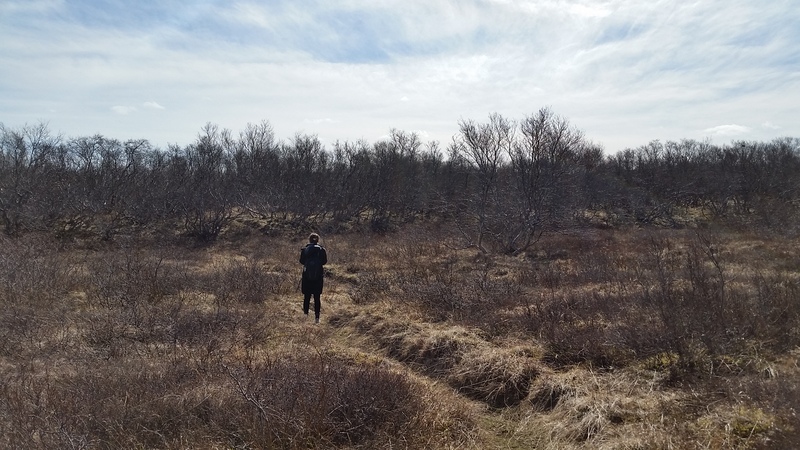 There is a parking lot, and from there you only have to walk about 800 meters to the pond. Back in the pond area, there are a few paths that you can explore. 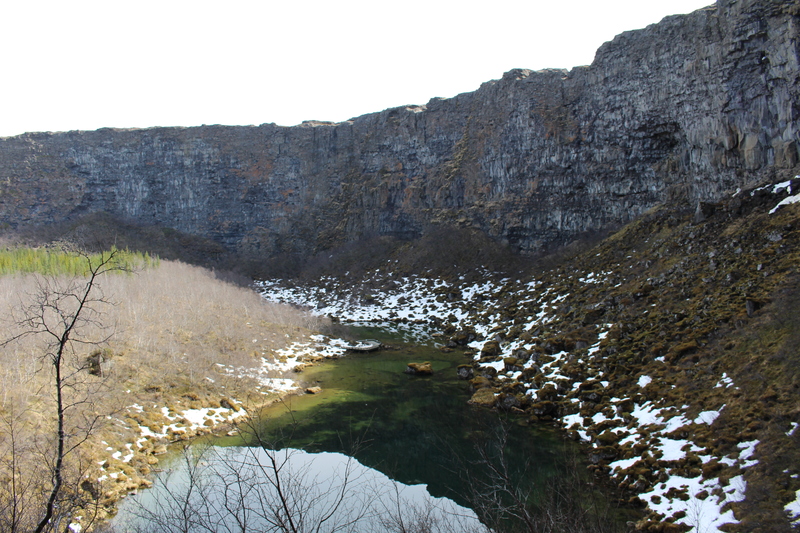 One will take you right up to the face of the interior canyon and provides amazing views of the pond. One last thing to note about this amazing area, there is a campsite if you’d like to spend more time here. It is located actually inside the canyon, so you’ll have amazing views and a bit of a shield from the elements. 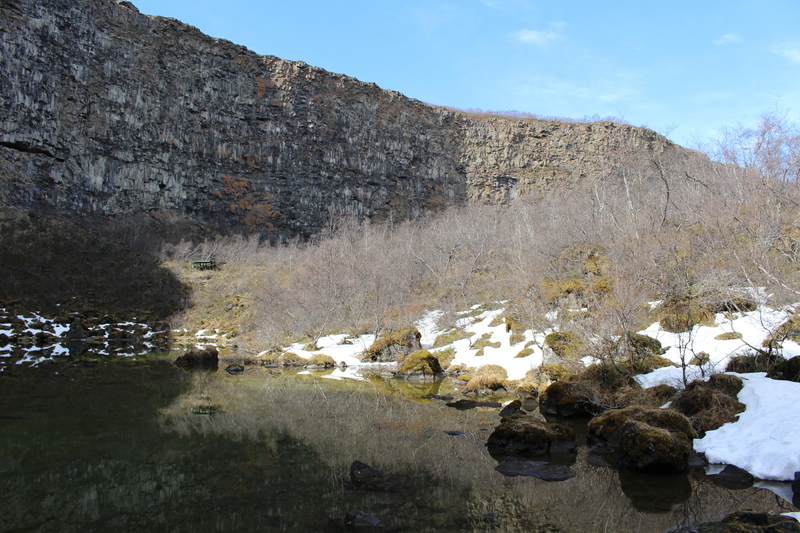 Ásbyrgi canyon might be a bit of a time commit to add with a Ring Road trip, but it is absolutely worth it. This is the seventh post in the Ring Road Series.